The history of Colora is a bit hard to decipher. A listing for the structure on the Maryland Historical Trust site states: "The Colora Meeting House was built in 1841 because of a doctrinal division in West Nottingham Friends Meeting." A listing discussing the Primitive Friends meetings regarding a Nottingham Monthly Meeting states "Meetings were held alternately in the Nottingham and Little Britain meeting houses, located respectively in Colora, Cecil County, Md., and Ballance's located in Lancaster County, Pennsylvania." 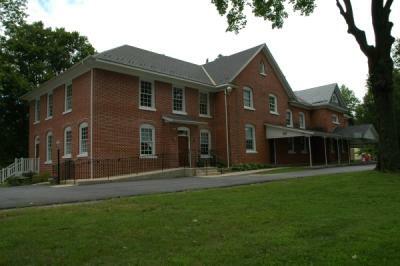 Since the Orthodox portion of the original West Grove Preparative had retained the early meetinghouse and grounds, the Hicksite portion established a new meetinghouse for themselves on State Road south of West Grove, referring to the meeting as New West Grove. They used this location until 1901 when they built a grey limestone structure at 124 Prospect Avenue in West Grove that was used until the 1920's. The State Road property now is part of the Western Quarterly, probably under the care of West Grove Monthly and is used for occasional special events.